Hand-crafted from French calf leather, this simply elegant bag is made in a compact, curved shape that perfectly molds to the body. 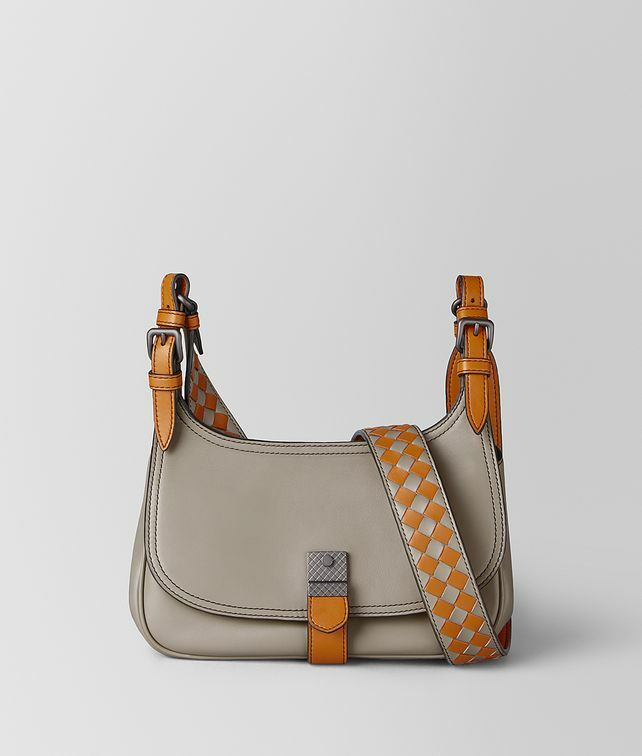 The style, featured in the Cruise 2019 presentation, is designed with a thick intrecciato checker shoulder strap, finished with signature brunito buckles on each end. The front flap features a contrast color leather strap and intrecciato engraved closure.